July is a special month for me. It is one of the sunny months of the year, which is always a plus! But it's also my birth month, which I'm reluctant to call a plus as I've started to count the years that have passed. As I've grown older my life has become busier, I have noticed that enjoying the simple pleasures in life is important. It's definitely given me a happier and more grateful outlook, allowing me to nurture my inner and outer self. Halal Goodies sent me this extremely beautiful box at a perfect time! This month is my month. A month when I evaluate my life, straight after a very stressful time with work, it was a great way to pamper myself in a busy month. 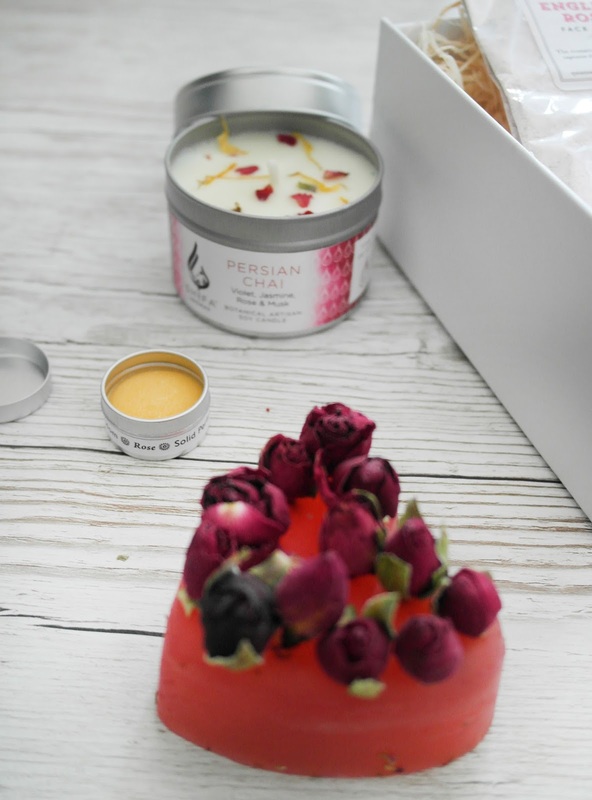 Everything in the box is simple but carefully selected for that perfect self-love at home. So what's inside the box? 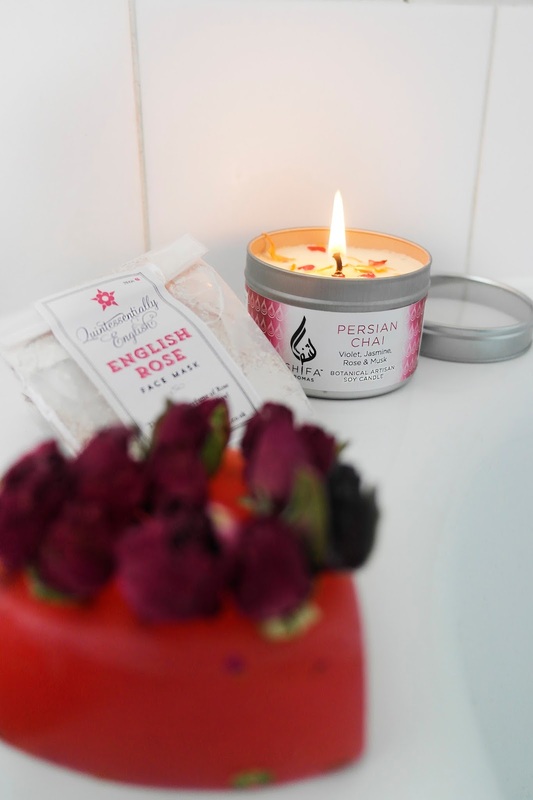 1 A full size "Persian Chai" Botanical Artisan Soy Candle. Anyone who knows me will know that I LOVE candles. I'd have candles all around my house with candles if I could! But even though I am candle lover, I am a picky candle lover. I am infamous for being picky with scents. Why? 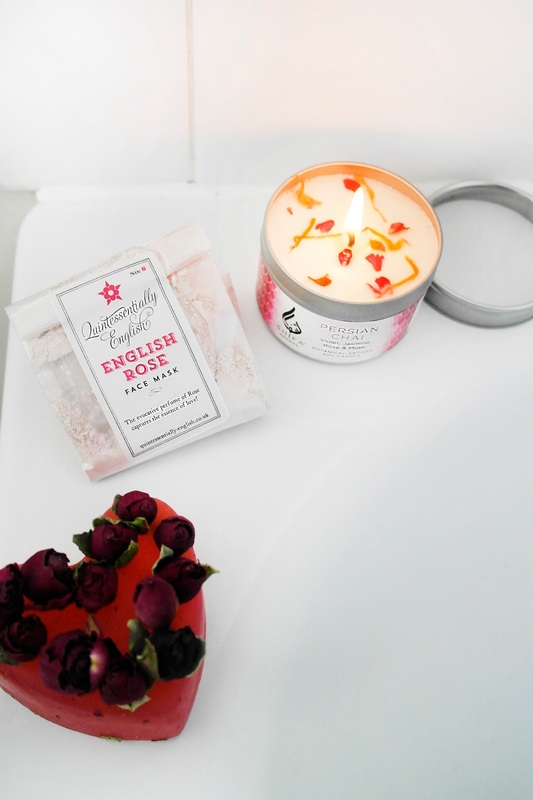 This July subscription box is perfect as a gift or just for yourself and welcomes summer with the lovely scent of roses! As always ALL of the Halal Goodies products are natural/organic and Halal. So you can shop safely for your skin and well-being. Get it while you can because pre-orders end on the 20th of July. PS. Halal Goodies ship worldwide! How awesome is that?